In case you wonder why I haven't posted anything lately, then it is because I do most of my activities at FabLabRUC these days. Bought a bunch of stuff on Ebay, here among: HX711 strain gauge A/D converters, 40Kg. 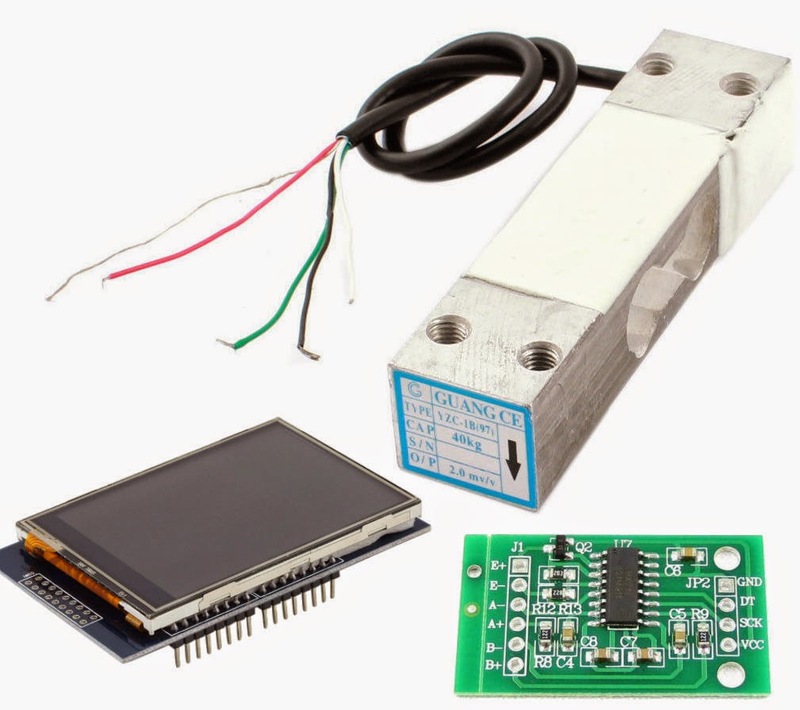 load cells, 2,8" TFT touch display Arduino shields. At FabLabRUC we have been experimenting with differnt kinds of metal casting. One of the methods is "lost PLA casting" where a 3D printed PLA model is covered with plaster and made to melt away when molten metal is poured over it. Problem is that the metal (aluminium in this case) cools off too quickly when it contacts the plastic. I wanted to find a method to keep the metal molten while inside the mold. 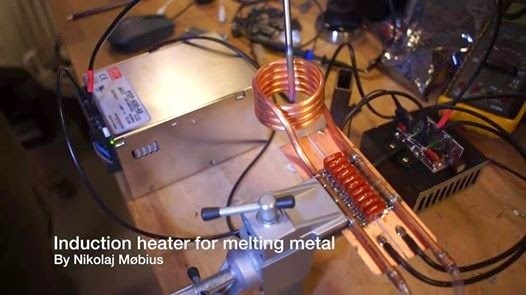 One solution seemed to be using induction heating. More about this heater and the casting process later.. 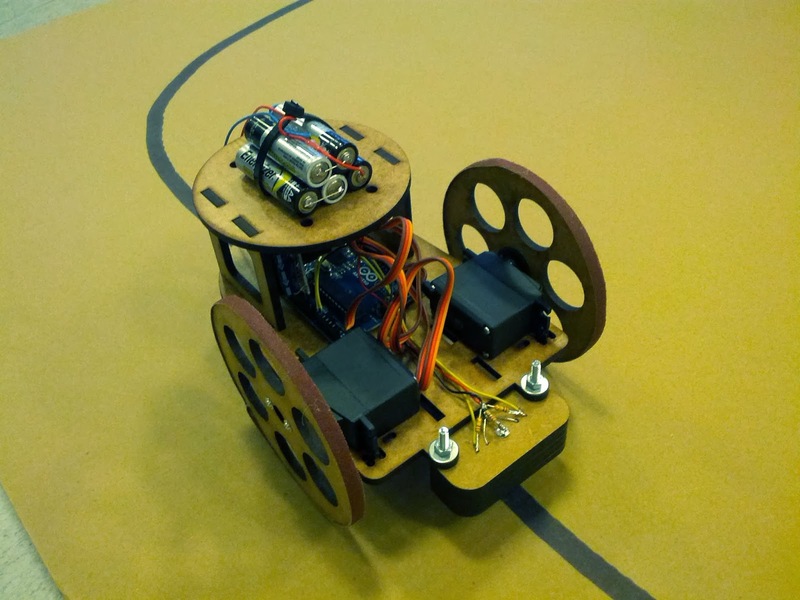 I and a couple of people from Illutron are running three workshops about robotics. 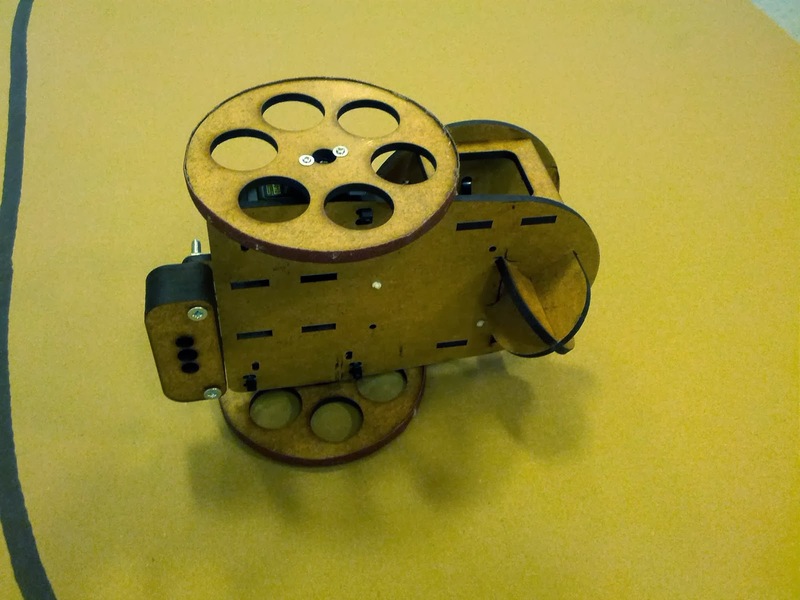 One of the projects we are presenting is a line follower robot. 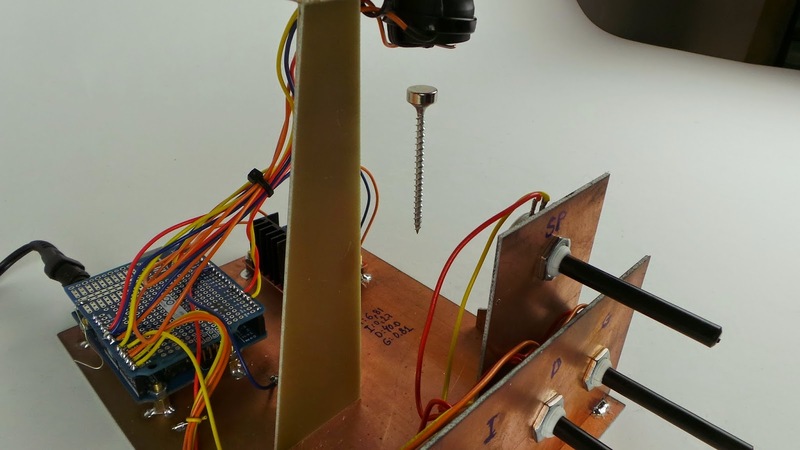 We have chosen this since making a robot capable of following a black line on a piece of paper presents a number of good hardware and software challenges for the worksop participants. This is our first version the hardware. 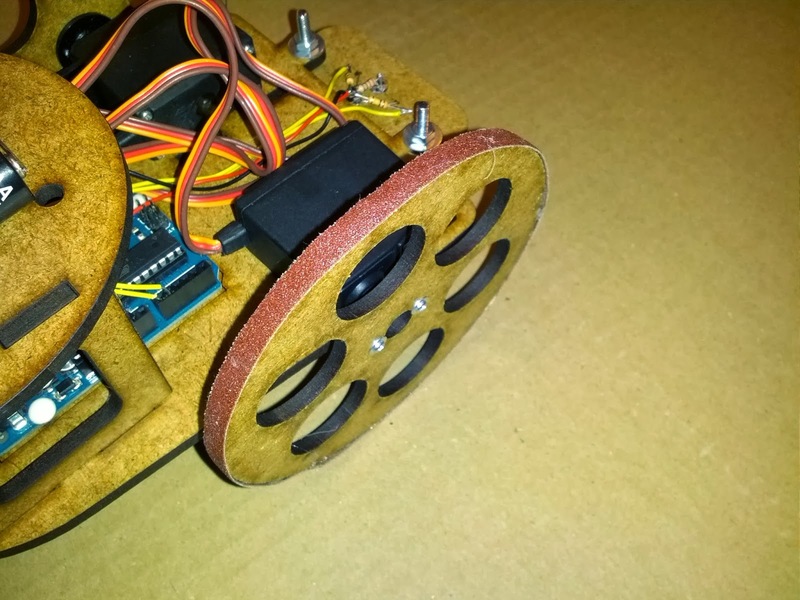 The robot is laser cut from 4mm HDF board and consists of a flat chassis driven by two hacked servos. A top structure is added to carry batteries and various sensors. A curved structure at the back acts as the 3'rd wheel. Good traction is achieved by gluing sand paper to the wheels. 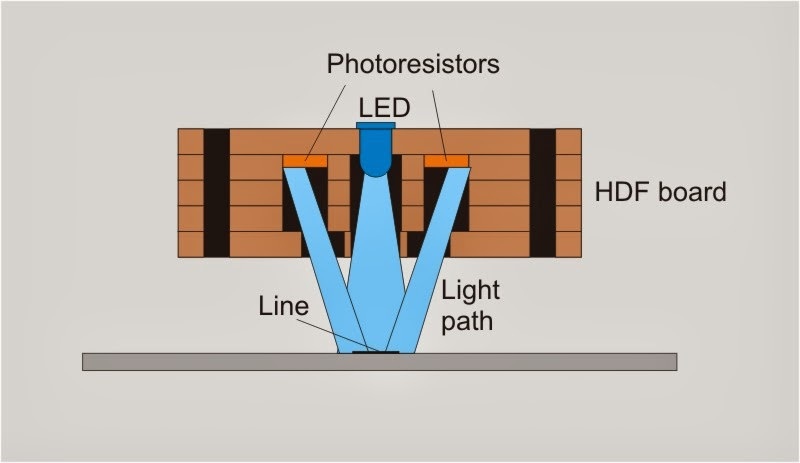 The sensor is made from layered HDF board. 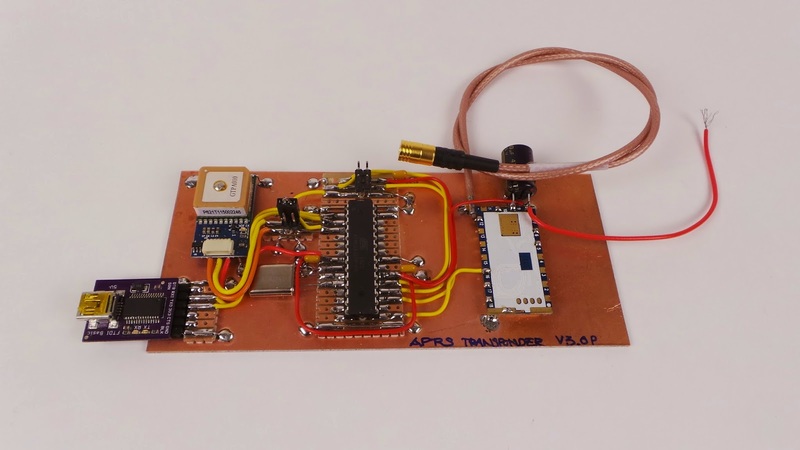 When starting the minimalistic APRS transponder project the goal was to make a semi-disposable APRS transponder costing less than 28 Euro (~35USD). 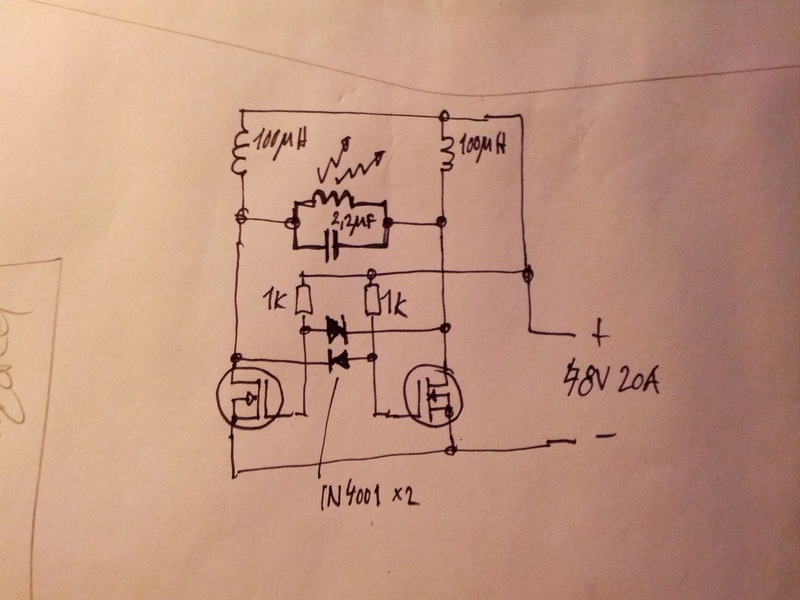 After spending many nights designing a VHF transmitter from cheap easily obtainable parts the price landed around (for the transmitter) 13.5 Euro (16.75 USD). This was not including about 1 hour of assembly time. All seem good but then I found this module on the Internet for 11.12 Euro, including shipping. Not only was it cheaper than I could ever build something myself but it was also a fully programmable VHF tranceiver and had 1W output. I have now decided to base my APRS tranceiver around this module and use the left over money(!) on a more powerful processor. 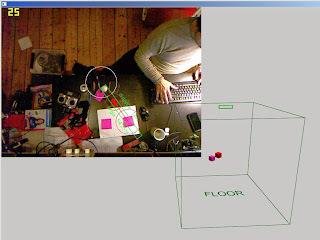 Here is a picture of my initial prototype. Schematic and source follow shortly. Added a voltage regulator for 2LiPo cell operation. Here is a quick video of my test setup transmitting 1W. Was playing with some cheap radios and decided that the keypad DTMF tones could be used for remote control. 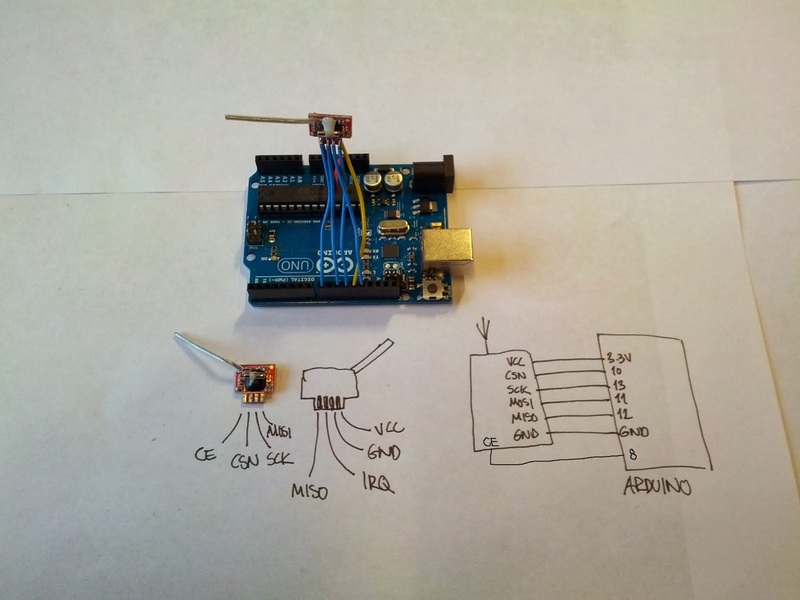 I had some old source that detected touch tones using a AVR microcontroller and decided to convert it for Arduino. 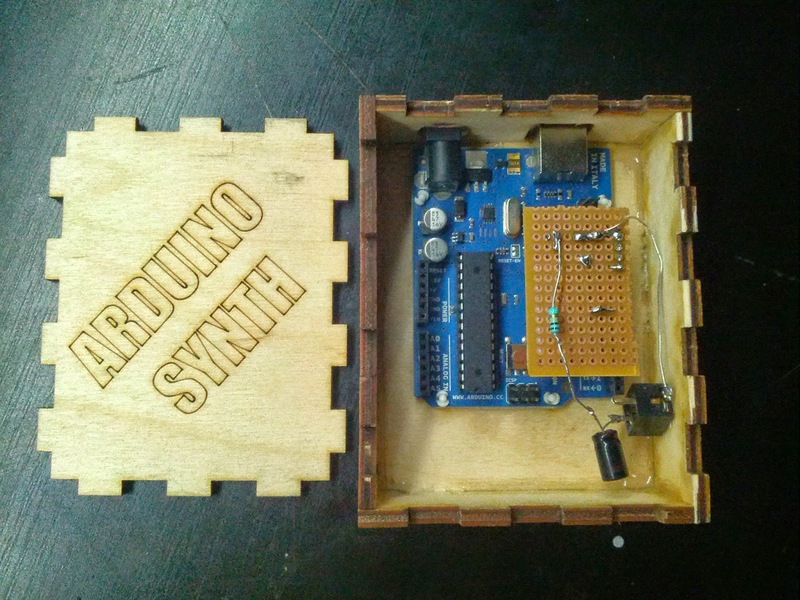 This resulted in a library that detect audio tones played into any Arduino pin. The audio is first clipped to a 1-bit signal (played loudly into a digital pin) then sampled at 10kHz. 256 1-bit samples (25.6mS) can then be analyzed for the content of one or more audio tones. The analyzer uses a crude 1-bit DFT but works surprisingly well at detecting multible tones such as DTMF or guitar plucks. The result can be presented as either a DTMF symbol or approximate signal strength for any frequency analyzed (up to 5kHz). Here is the library for now (will move to github). After working on a High altitude Balloon project I got interested in APRS. APRS is basically a radio amateur driven network that among other things lets you broadcast your position worldwide on VHF radio. For out project we used this APRS transponder to keep track of the balloon. Mostly for the challenge I decided to build a really small and inexpensive APRS tracker you wouldn't be too sad to loose. 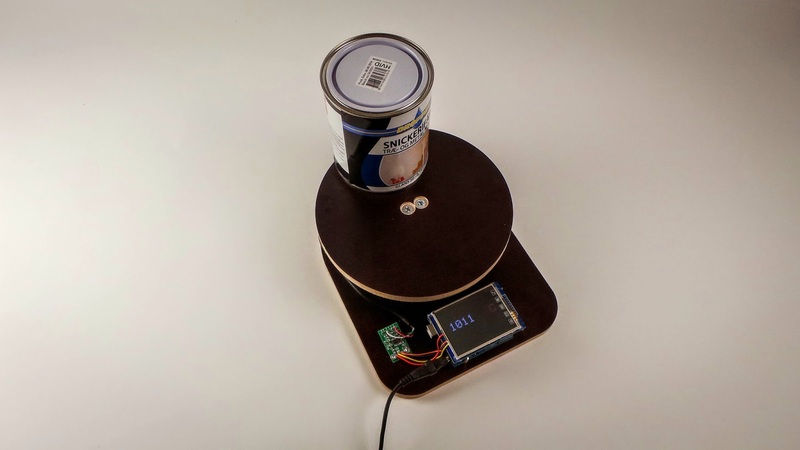 UPDATE: The example code uses a ATTINY85. 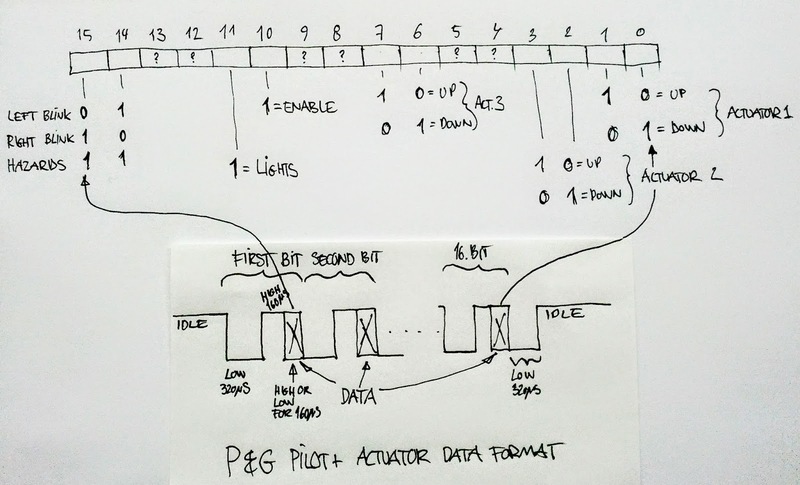 Change to ATTINY45 in AtmelStudio if using this chip. I used a FS6377 integrated clock synthesizer as the VHF transmitter. 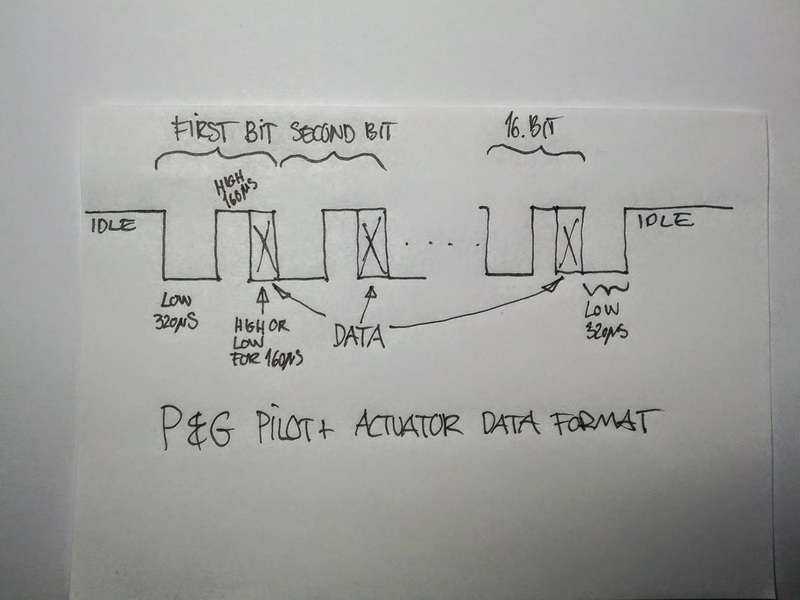 This chip is I2C programmable and is able to generate 144.8MHz (or 144.39MHz for US) from a 20MHz crystal. 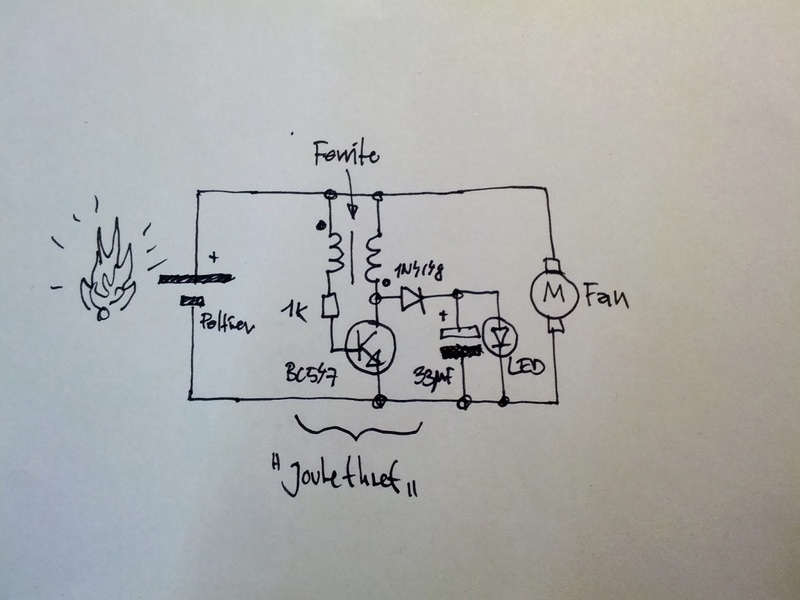 The FS6377 does not have a modulation input but I was able to modulate the crystal oscillator using a simple variable capacitance diode. 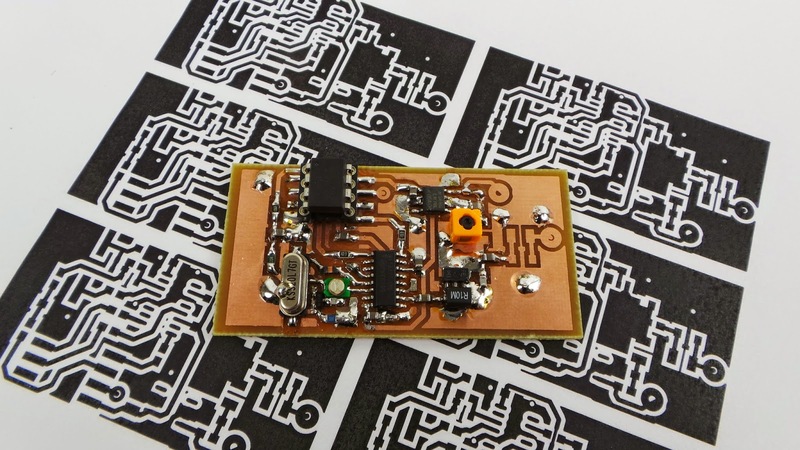 I chose the ATTINY85 microcontroller form Atmel because it is cheap and available in a really small package. 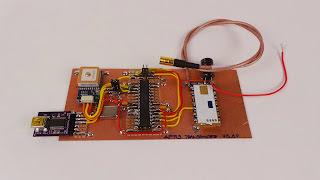 The BELL202 modem signal needed for APRS is synthesized inside the ATTINY85 microcontroller and output as a PWM signal. 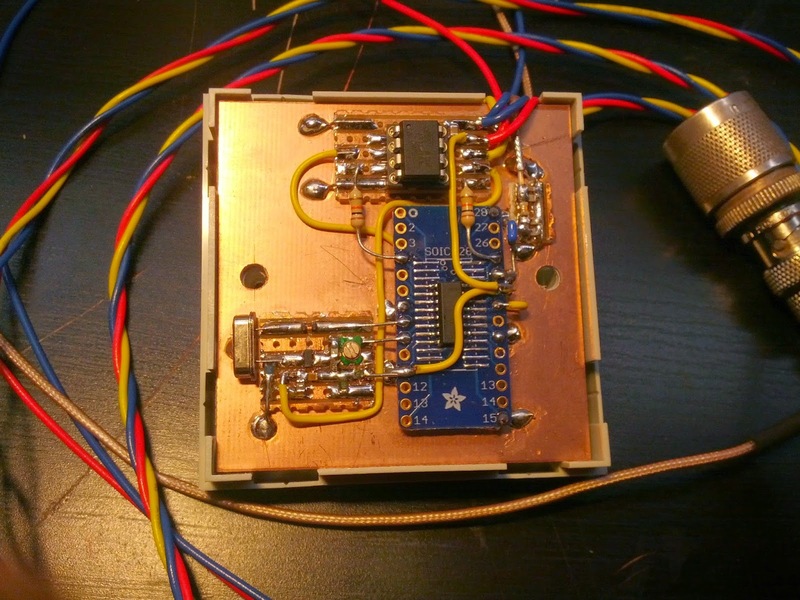 The frequency of the modem tones need to be very precise and since the internal clock is not very accurate I chose to generate a 10MHz clock frequency externally. It is possible to tune the internal clock in software to gain an extra I/O pin but I didn't need it here. The transponder really show potential to miniaturized. 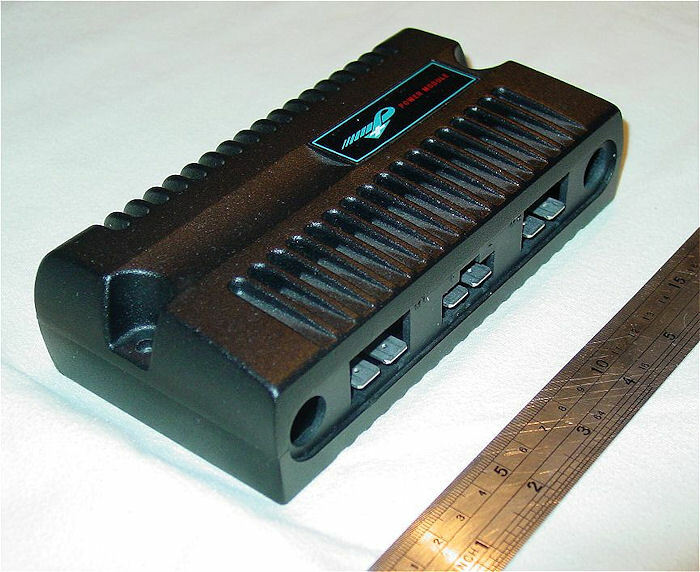 The transmit power is around 30mW enough for long range if transmitting in line of sight. 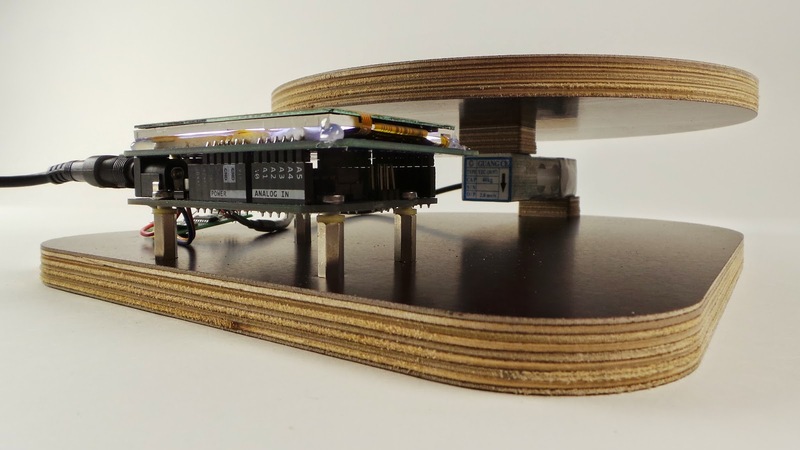 The project is heavily inspired by the Trackduino project. This is the current configuration. Mind that the registers are in reverse order from the order they are sent in transmitter.cpp in the project. I was asked to play a small concert at my friends PhD defense using an Arduino running this library. 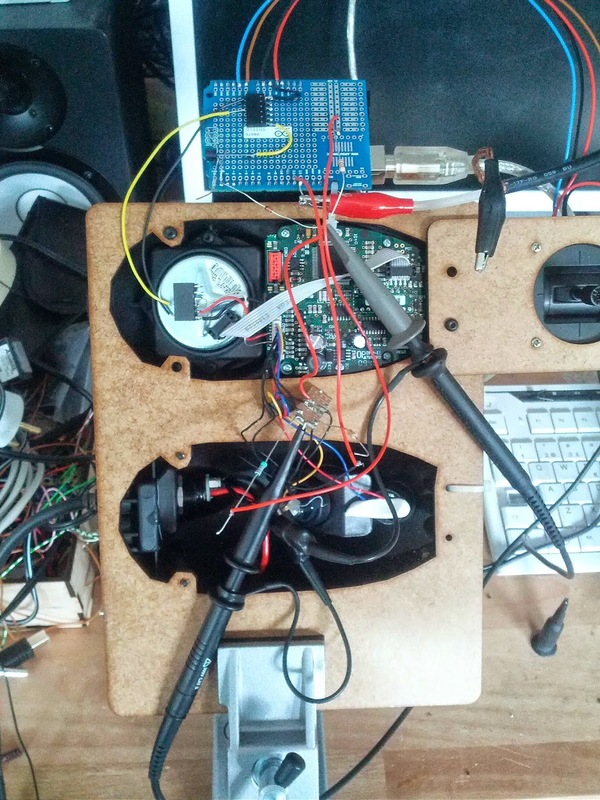 The music was sequenced using Ableton Live and sent to the Arduino via. MIDI @ 31250 BAUD serial data. 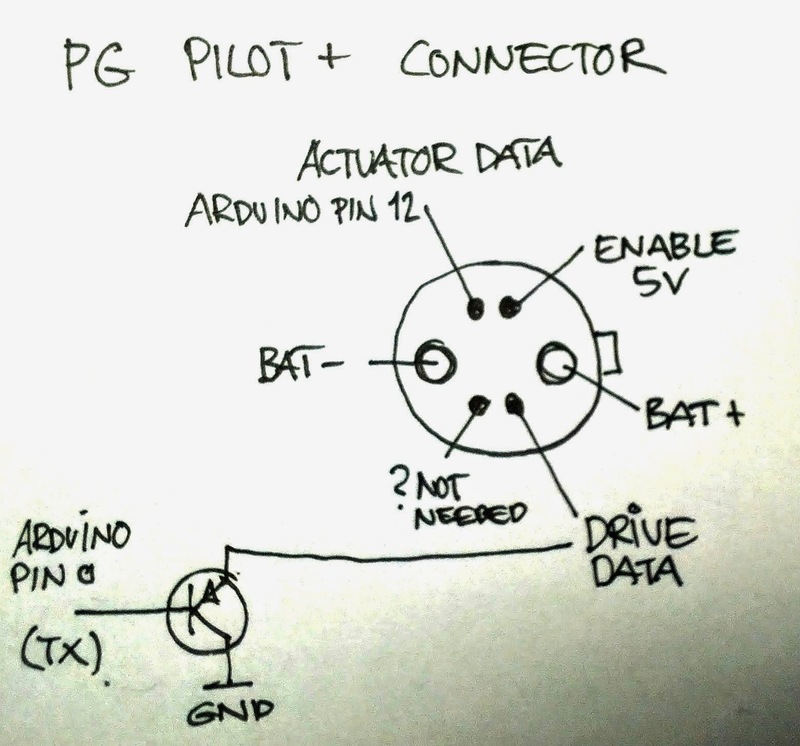 The output from the Arduino was a 8 bit PWM signal that was subsequently lowpass filtered using a simple LC filter. Got a bag of Peltier cooling elements (thanks Dan) and experimented with using them as thermoelectric generators. These devices will generate an electric current when subjected to a temperature difference. When placed on a hot oven they will generate about 1,8V and 650mA for a few seconds and then fade out due to heat conducting through the element and cancelling out the temperature difference. I found a really fancy heat sink from an old server. By placing the heat sink on top of the element I was able to sustain generation for a much longer time. 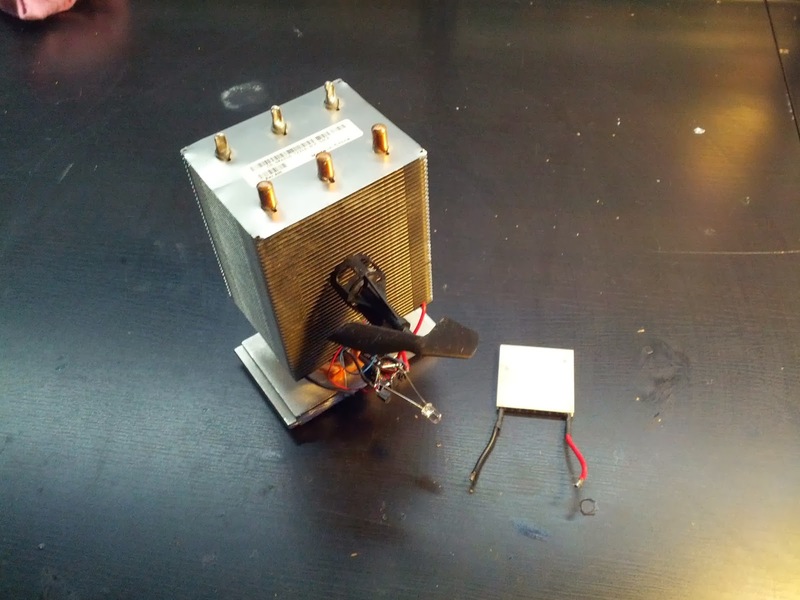 Even the heat sink eventually gets hot causing the power output to decrease. Sitting on top of the oven in a column of warm air it is not able to dissipate heat well. I found that blowing cold(er) air from the surroundings onto the heat sink increased the efficiency dramatically. 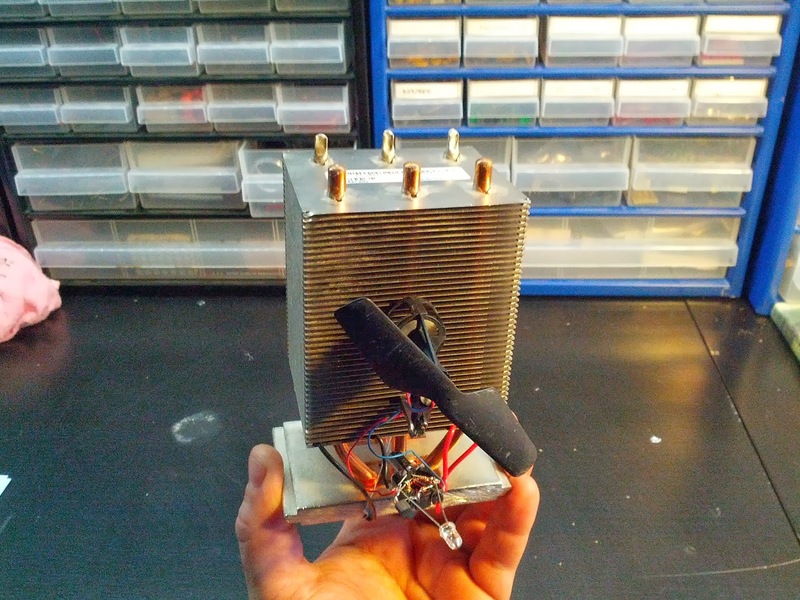 As a small cooling fan I used a motor/prop assembly from one of the HCD's, powered directly from the Peltier element. This allows sustained power generation. Video of the thing going. Update: Picked up the cold generator and held it in my hand. After a few seconds the fan started just from the heat of my hand! I find them less easy to fly and they have less load capacity but they have a cool flip feature that let's the quad do a flip just by sending a command. I needed a way to visualize the spatial data from the drone tracking software. I wrote a OpenFrameworks program to do this. Click here or on image to see it in action. When tuning PID parameters for the HCD flight controller I pretty much spend 2 evenings waiting for the program to recompile. I would change some parameter a tiny bit, recompile, get the HCD in the air to evaluate and then repeat the process over and over. At some point I realized that tuning the parameters in mid-air would be much more efficient. 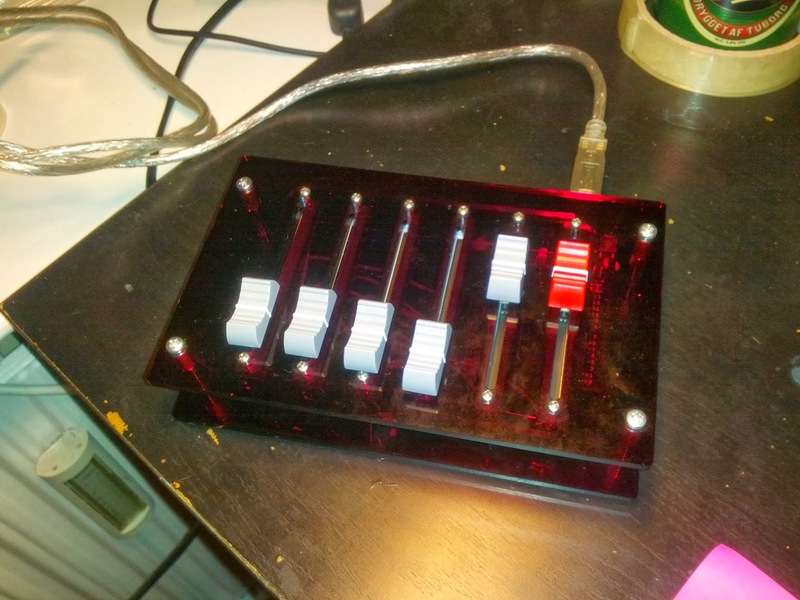 It's simply 6 faders hooked up to an Arduino. It transmits the 6 fader values to the flight controller software where they are scaled to the appropriate range and fed into the feedback controller in real time. After a lot of crashing and swearing in the lair closed-loop control of the HCDs has now been achieved!! The rough control parameters has been established so autonomous take off, flight and landing can be continously reproduced. Now I need to fine tune the flight controller software and package everything nicely into something others can use too.